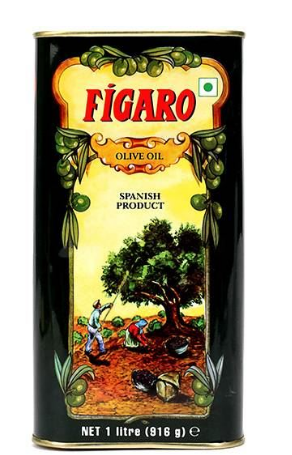 Hi to everyone i had this Figaro Olive Oil with me since long time and to get knowledge i bought this Figaro Olive Oil by reading it best benefits of olive oil for hair and skin.I was not knowing the benefits of olive oil but once i saw it to my aunty place and she explaining about the oil i thought i should give it a try. In Indian market we can get Figaro Olive Oil very easily, you can buy this Figaro Olive Oil online, drug store or medical store. 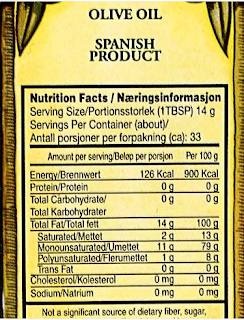 I like the Figaro Olive Oil because of it packing it comes in a tin can. Figaro Olive Oil is mild, non- irritant that suits all skin types and is rich in antioxidants. Perfect as a massage oil for babies. Figaro Olive Oil is a multipurpose as it is used for hair, skin. Figaro Olive Oil is considered to be heart-friendly. Figaro Olive Oil can act as the natural oil, which gives extra glow to the skin just because of non-chemical content. Price of Figaro Olive Oil- The Figaro Olive Oil is for Rs 225 Rupees for 200 ml that comes in a tin can. You all know that olive oil can be used in so many ways specially olive oil is used in cooking, you can use it as a hair oil or use the olive oil for the skin. But if you want to use olive oil for your skin than you must buy extra virgin olive oil. This Figaro olive oil i am talking to you it is not a extra virgin olive oil it is a refined olive oil. Refined olive oil are the oil that can be used for cooking and also on our hair as a hair oil. Some people must not be knowing what is extra virgin olive oil? Here is an answer for you extra virgin olive oil is made from the process of applying some pressure to the olive seeds. Extra virgin it is the oil its the juice of the first pressing of the olives this is the pure olive oil which has no chemicals used in it. Since extra virgin olive oil is pure and free from any refining chemicals we can safely use this product foe our skin and this will also suit well for your skin. People who want to buy extra virgin olive oil can used product like soulflower and aloeveda you can give a try to this product this product are made from extra virgin olive oil. Health benefits of Figaro Olive Oil for hair and beauty. You can mix this oil with parachute coconut oil or any coconut oil then warm it up a bit. this mix oil you can use to massage the scalp and keep this oil overnight and the next day wash your hair it will make your hair soft and shinier and also dry frizzy damaged hair. I have used to make hair pack with this Figaro Olive Oil you must take three to four spoon of this olive oil an mix it with three or four spoon of honey and a little almond oil and massage it on your hair and your hair ends. if you are doing work of your house you must tie the hair as a burn and do your work once you tied a burn this sticky hair will not trouble you and give problems while working. keep iit for two hours and then shampoo your hair this is the best and better treatment for people having dry hair which is mainly caused because of the sun. My sister has a dry skin body she used to massage her dry skin body with this olive oil and massaging with this oil makes her skin look radiant. This Figaro Olive Oil makes the skin texture smoother and treat the fine lines of her skin. You need to mix all of this ingredients and take them along with you in the shower. Use this to scrub your body and you must keep it on the skin for at least ten minutes. This Scrub can also be use for your foot. You should mix some olive oil with milk cream and During night time before going to sleep you must apply it on your dry feet and hands. Applying this will soften your skin. Figaro olive oil can be used as a eye makeup remover along with rose water it will help to remove your waterproof eye makeup this will take a lot of time to remove it. Figaro olive oil can be used for cooking. 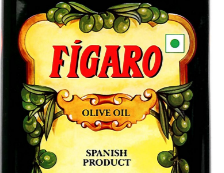 Figaro olive oil can be used for beauty uses for body skin but you should not use this on face. 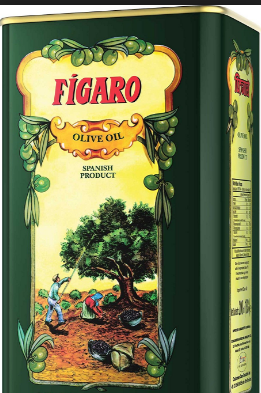 Figaro olive oil tin pack is hard to use as the oil will spill on the outside. This Figaro olive oil can be used for cooking. As compared with other oils Olive oil is very healthy for cooking. This can also be used for hair and skin. People who have oily skin I will not recommend you to try this on the face.